Life Is Art is excited to present a live digital art presentation by Ileana Collazo at the Arts and Business Council’s Breakfast with the Arts and Technology this Friday! 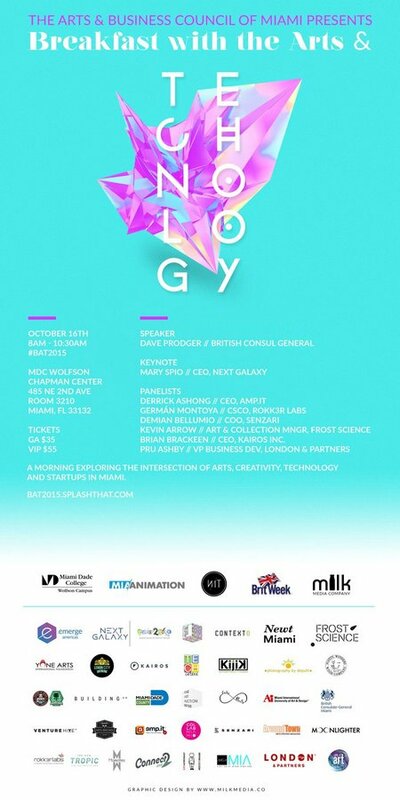 If you are interested in the arts, technology and economic development, we highly recommend you attend. We believe that the key to making our city a great place to live/work lies in the power that creativity can bring to everything it touches, specifically to amplify technology as a true connector and catalyst for innovation. From Brickell to Wynwood, Little River to Miami Beach creativity is the magnet that is attracting and stimulating these economy-building industries. Join us for a morning exploring the ways in which the arts and emerging industries can work together to build a connected creative ecosystem.